CardKeeper is the new business card scanner that grantees to free from the hazard of maintaining and remembering all your business cards in you wallet. CardKeeper is an app supported in iOS that helps you to sort your business card organizing by scanning, digitizing and managing your entire Business Card Collection. The app has some amazing features. It has a text recognition feature. 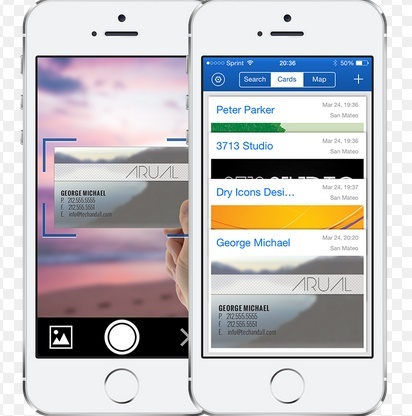 Thus features digitize all information from your business cards by scanning and adding the cards. From now on you can efficiently manage Cards with “List” and “Stack” views inside the App. Next, add the information of all your Email IDs, Phone and Address to iPhone’s Address Book. Other feature is AirDrop Collaboration where your Cards can be sent to other CardKeeper users via AirDrop in just a couple of seconds. The application has a very stylish well designed interface which you would just fall for. The app is now only available for iOS platform and we wonder which OS it will choose next.